Documentary filmmaker Michael Davie speaks about dispelling the stereotypes surrounding Africa as part of the National Geographic speaker series at the Mesa Arts Center. Davie started his career as a documentary producer and director when he quit his broadcast job in Australia and planned a hitchhiking trip from Cape Town to Cairo with his digital camcorder. Arizona’s federal court system is overloaded. So much so that its chief judge and the 9th U.S. Circuit Court of Appeals issued a judicial emergency last year. That allowed for visiting judges to hear cases. 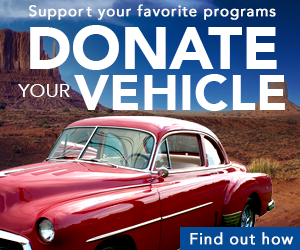 Have you seen SB 1070 drive people out of Arizona? When state lawmakers passed the tough bill known as SB 1070, they were clear that part of the aim was to make Arizona inhospitable for people in the U.S. illegally.The 2012 presidential election has brought the issue of "self-deportation" to the forefront. Russell Pearce supporters say that one reason he lost his seat in the state Senate last fall was because the recall election was open to Democratic voters. Pearce announced Monday he’s running again for state Senate -- and this time, he’ll face a Republican challenger in a primary where only Republicans and Independents can vote. Theater critic Robrt Pela reviews Phoenix Theatre’s production of Gypsy: When one writes of her here, she is “Broadway’s Kathy Fitzgerald.” In New York, for which she left us more than a decade ago, she is one among few: a character actress who’s always in demand; who’s appeared in Broadway shows like Wicked, 9 to 5, and in the original company of a little thing called The Producers (she was in the film version, too). Arizonans who lost their homes to foreclosure, are at risk of foreclosure, or are now underwater on their loans stand to benefit most from a recent $25 billion dollar settlement with the nation’s largest lenders. More than 22,000 Arizonans have applied for and received permission from the Department of Health Services to use medical marijuana. And the vast majority, some 85 percent, are requesting to grow their own. Many people who tried to use Arizona’s 511 system this past weekend couldn’t get the latest road conditions because the phone number and website were at full capacity. 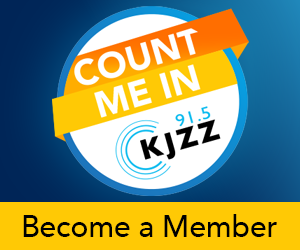 As KJZZ’s Paul Atkinson reports from Phoenix, the system experienced record numbers of users.